Beyond automation, intelligent factories are called ‘smart factories’. 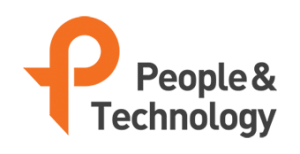 It is called the collective of the Industry 4.0 revolution technology. Many companies have been pushing smart factories to overcome low growth, but they are not saying that smart factories are built in the morning. Choi Su-woo reported what is needed to create a smarter factory. It was an aircraft engine parts factory built at the end of last year as a Smart Factory. The first thing that stands out is the automatic warehouse, which is high up on the ceiling of the factory. Various aircraft engine assemblies are automatically delivered and shipped according to pre-input schedules. This is in contrast to existing factories where people have to move their own assemblies either on the floor of the factory or on the shelf. Another thing that attracts attention is the AGV, which moves briskly inside the plant. Know the type of parts and process progress from the warehouse and move them to the required workshop. It is one of the contrasts with the existing factory where a forklift that people drive is busy. 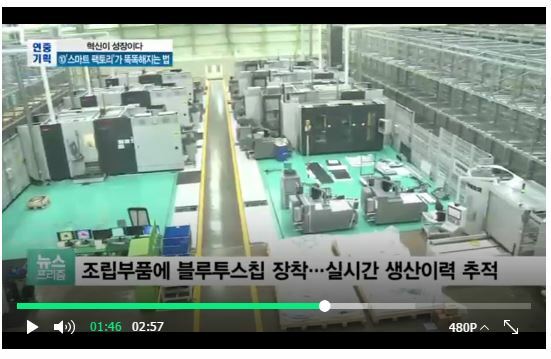 Koh Byeonghwan / Hanhwa Techwin Production Part 1: If a person is working 24 hours a day, it needs 3 times for 8 hours or 2 times for 12 hours. Bluetooth chips will be attached to each assembly part from the middle of next month. This is to trace the real-time production history and establish an efficient process. As time goes on, Smart Factory’s data accumulation is getting bigger and the efficiency of the work process based on that data is getting higher. In this regard, the Smart Factory is similar to Alpha Go, which is the world’s number one Artificial Intelligent System. Corporate officials who have taken the first step in the domestic smart factory also stressed this point. Lim Jae-young / Managing Director of Hanwha Techwin Aircraft Engine Division:Learning logic, and data is the most crucial parts of Factory. With the victory of Alpha Go, some people were sorry for the defeat of human, but others regarded it as human triumph. The key to the success of the Smart Factory, which is the core of the fourth industrial revolution, is also held by humans.